It's every parent's worst fear. It's the middle of the night and your child is sick. How do you know when to take her to the emergency room? It can be tempting to take your child to the ER at the first sign of trouble, but it is never a good idea to pay your local hospital a visit without good information. An unnecessary trip to the ER can result in an hours-long wait. If an occasion is non-emergent, those with urgent conditions will be treated first, and if your “emergency” isn't truly an emergency, the hospital can refuse to treat you once you've been triaged. If your child is under one year and has a fever above 100 degrees, a call to your pediatrician and a trip to the ER is justified. If your child is over one year, a fever alone is not reason enough for an ER visit. The fever can be treated with over the counter ibuprofen or acetaminophen until you can get to your pediatrician's office. If the fever is accompanied by a headache, a rash, a stiff or painful neck, severe vomiting, convulsions or lethargy call your doctor and have him meet you at the emergency room. Other reasons for ER visits are severe pain in the right lower area of the abdomen, coughing or vomiting blood and unresponsiveness. In addition to wasted time, your insurance company may not pay for a non-emergent visit to the emergency department. Most insurance companies have “reasonable use” policies to cover ER visits. If the claims adjuster feels that a reasonable person would think the symptoms presented at the time of the visit were an emergency, then the claim will be paid. The problem with this system is that it is highly subjective and there is little recourse if you do not agree with the outcome. Even if your insurance company does pay, there are often larger deductibles and co-pays involved with ER visits. If your child is sick in the middle of the night, there are options. 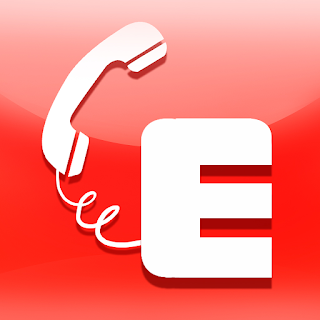 Many emergency departments have a phone nurse on staff. The nurse can provide advice or just reassurance. She can also tell you if you are facing a true emergency that requires a visit. If you call ahead and receive prior authorization, you can often avoid the long waits associated with ER visits. Your doctor's office may have a 24 hour number or a book with common child health problems and solutions. Having a sick child can make you feel helpless, but with some forethought and good information, you can provide the best care for your child.